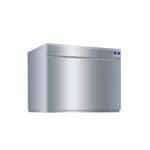 A water-cooled ice machine ensures that you never run out of fresh ice. It doesn’t matter if you’re running a massive catering operation or a small cafeteria, CKitchen.com can help outfit your business with a top-quality ice machine that meets your particular demands. 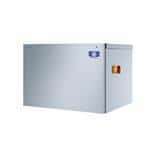 Why choose a commercial water-cooled ice machine? 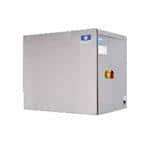 When compared with air-cooled ice machines, water-cooled units are much more versatile and cool down quicker. They can be used in extremely hot environments where air-cooled styles can’t operate, and provide much better control over ambient temperatures surrounding the machine. What’s more, water-cooled ice makers are less noisy, which helps ensure an enjoyable atmosphere for staff and guests. 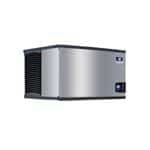 We recommend a water-cooled unit for establishments with ambient air temperatures over 80 degrees Fahrenheit and in environments where the air contains high levels of contaminants or poor circulation. Choosing the right ice machine for your business can be a challenge, but we’re always here to help. Before you make a selection, determine how much ice you need to produce per day. We have both low and high-volume water-cooled ice machines that can handle anywhere from 100 to 3,400 pounds of ice per day, and volumes in-between. You can also select models based on which type of ice it produces, such as full-size cube ice, half-size cube ice, nugget ice and flake ice, depending on your operation’s specific needs. CKitchen.com is the best place to buy your commercial water-cooled ice machine, because we offer the guaranteed lowest prices and free shipping on top commercial ice maker brands. We’re authorized dealers of the best names, including Hoshizaki, Manitowoc and Scotsman. 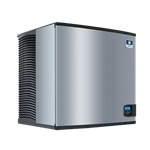 Many of these units are made in the U.S. and come backed by extensive warranties, so you know you’ll get years of reliable operation from each one. 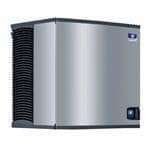 Need help deciding which ice machine is best for your business? Reference our Guide to Choosing Ice Machines for more in-depth information, or reach out to us for professional advice. We’d be more than happy to assist you with your purchase.